Easily customize your safety selector! 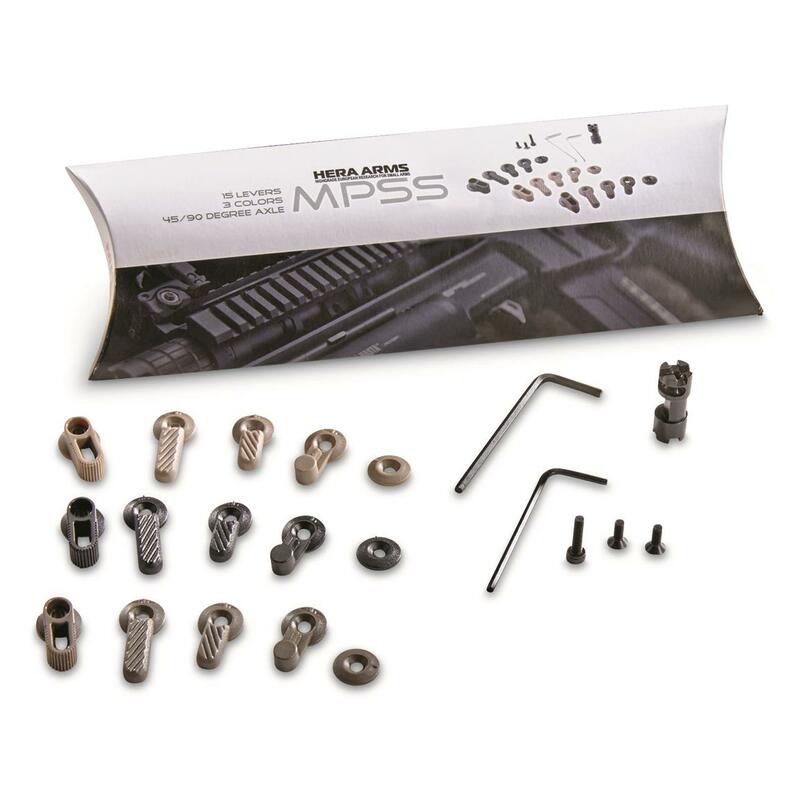 Easily customize the safety selector on your AR-15 with this CBC AR-15 Multi Purpose Safety Selector Kit. 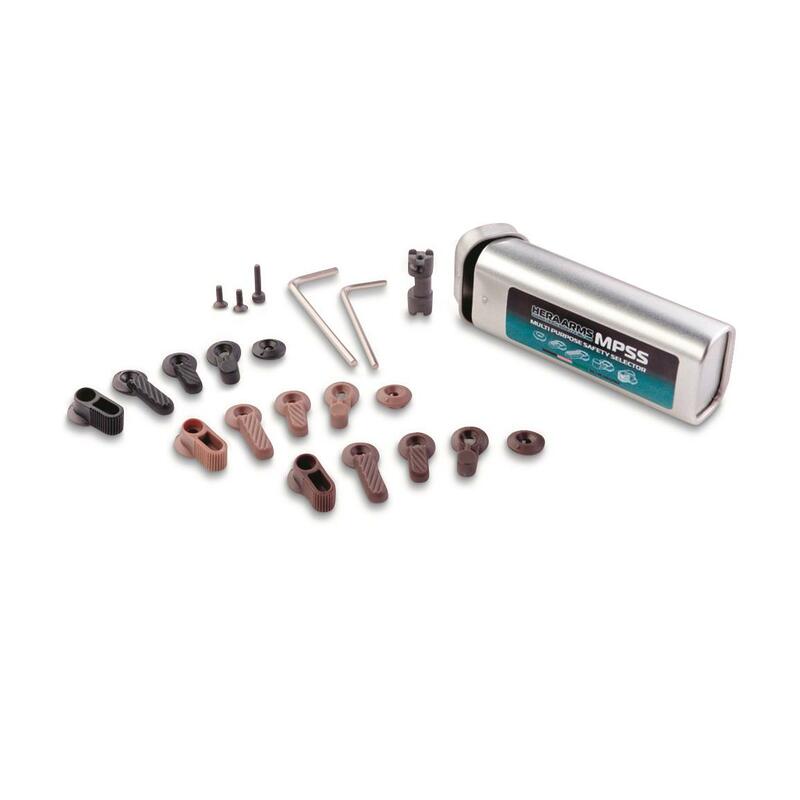 The dual purpose safety bolt may be used in a 45° or 90° fire mode. By easily rotating the bolt 180° you can choose between standard or short fire selections. Each Polymer switch comes in 5 various lengths and sizes as well as in Black, Flat Dark Earth and Foliage. CBC AR-15 Multi Purpose Safety Selector MPSS Kit is rated 4.5 out of 5 by 2. Rated 5 out of 5 by Chuck from good for price and nice quality Install was easy, very customizable I recommend the product but. Before I could start I had to go to ACE and sift through a thousand small screws to find another long one. Kit only comes with one. So if you want a large selector on both sides you have to go buy a second screw. Remember one is none, always buy a spare. Rated 4 out of 5 by TGZpider from Pretty good little safety Its a pretty good little 45 safety. The plastic latches aren't the best, but it works as it should. A drop-in-easy upgrade for your favorite AR.